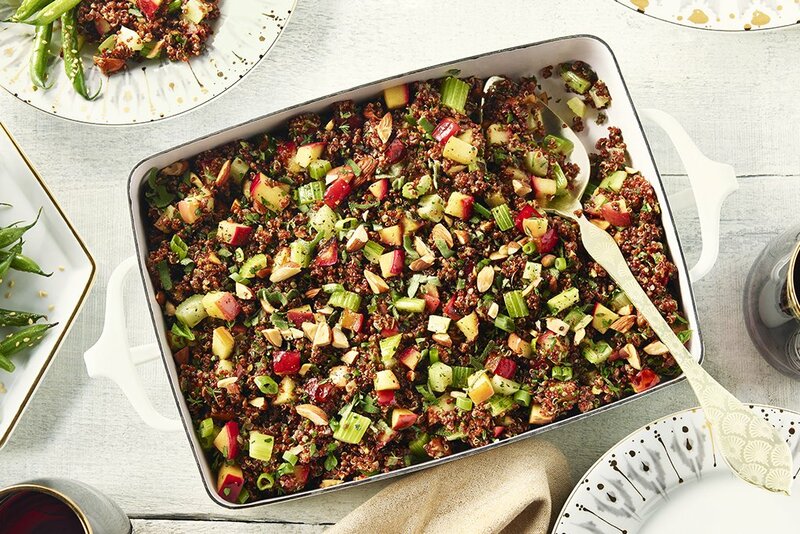 Enjoy this twist on a holiday classic by replacing traditional bread with quinoa for a lighter, healthier stuffing. This can be made and stuffed in the turkey or baked it in a casserole dish. In a large saucepan, over medium high heat bring vegetable broth to a boil; add quinoa. Cover and reduce heat to simmer for 20 minutes. Turn off heat and leave covered for 10 minutes. In a large skillet over medium high heat, melt butter and oil until bubbly. Add apples, onion, fennel and whites of the scallions, and cook for 2 minutes. Remove from heat and stir in almonds, quinoa, sage, thyme, parsley, salt and pepper. Serve warm or let cool completely if using to stuff a turkey. The stuffing can be made up to 3 days ahead and stored in an air-tight container. Heat in a covered casserole at 350°F (180°C) for 20 minutes.) Provide 1 or 2 tips on ingredient substitution, etc. 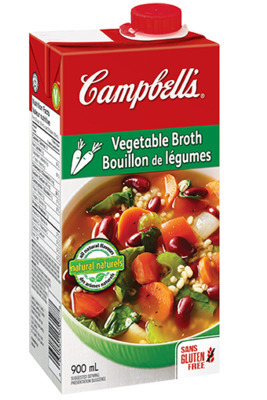 Vegetable broth can be substituted with CAMPBELLS® Chicken broth. Sprinkle with fresh parsley before serving for a pop of colour!